Thank you to Wisely Made for this sponsored post. They are also including an exclusive 35% off coupon! How many times have you needed a wipe to clean a sweet-potato stained face or your little one’s sticky hands? It’s true that our babies can go through a hundred wipes per week, which is why a set of premium quality, reusable baby cloth wipes is the most convenient and money saving solution to any new mom. But not all cloth wipes are gentle enough for our newborns’ sensitive skins. Being a Registered Nurse with years of experience in child care and a mom myself, I couldn’t settle for the rough, poorly made cloth wipes that I found in the market. This is why I decided to create a better alternative that would live up to my high standards. And voila! 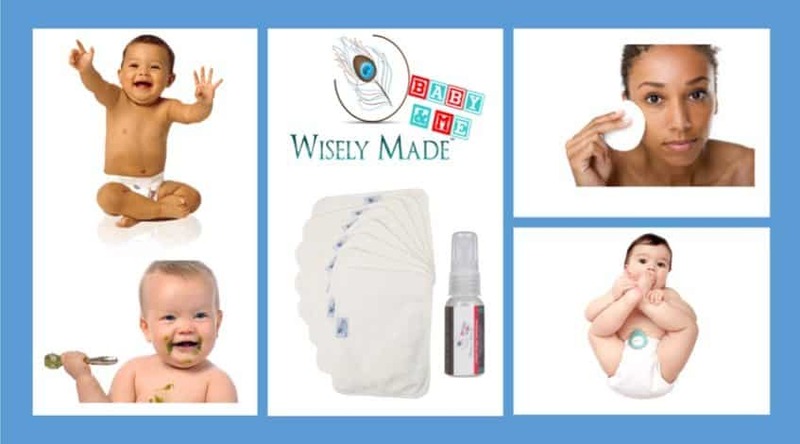 Wisely Made washable baby cloth wipes and natural cloth solution set came to life. These cloth wipes work phenomenally better than disposable ones and are super easy to use, too! They are made of 2 thick layers of ultra-soft, anti-bacterial bamboo terry cotton and are double stitched on the edge, making them extra durable and perfect for your baby’s bum, face or just about any dirty job! 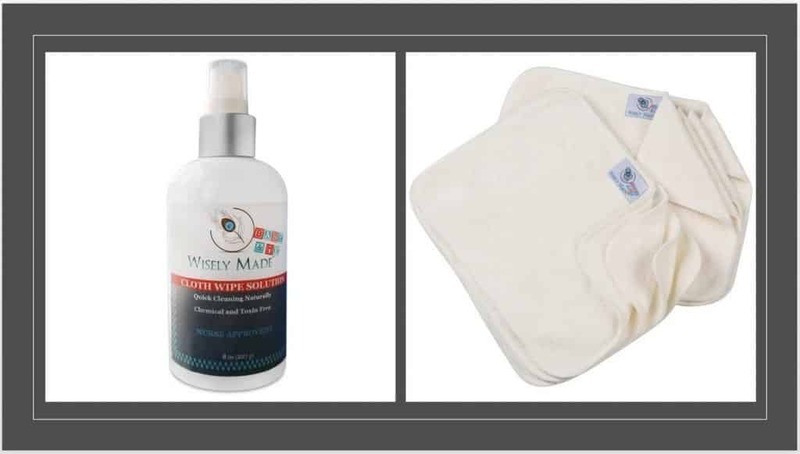 Completely natural, both the Bamboo wipes and cloth solution have none of the harsh chemicals you’d want to touch your infant’s sensitive skin. Can be used as a diaper cloth, face cloth, burp cloth, a handkerchief, to clean glasses, etc. What is more, they offer a handy and hygienic solution for on the go cleaning for adults! Simply keep these travel wipes in your purse and you can have a high quality wash cloth and cleanser to remind you of the comfort of your home! And if you’re you worried about cleaning the wipes, don’t be. Just toss the soiled wipes along with the diapers into your wet bag until laundry day and they’ll be as good as new, every time! Many parents use plain water as the wipes solution, either in the bottle or to wet the wipes in advance. But I found it was much better to add some carefully selected ingredients to enhance the solution’s benefits and treat my baby’s skin with all that natural, plant goodness. All natural and eco-friendly baby wipe solution (1 oz bottle). We also have an 8 oz available. The retail price for our high quality set is $22.99 but for a limited only we have a 35% off coupon to the first 80 people who claim it at the link below!